There is a large number of people with disabilities in the Philippines. According to a report from the Department of Health, there are roughly 1.4 million Filipinos that have some form of disability - the majority of which belong in the working age group (15 to 64 years old). Until a long time, people with disabilities, or PWDs, have been unable to find jobs simply because of their ‘disabilities’. But there is a social enterprise that aims to change that by building an ecosystem for PWDs and people who belong in disadvantaged communities that allows them to thrive through digital work. They provide companies and businesses with a skilled workforce made up of a special group of people who are able to deliver quality work despite their disabilities and limitations. Virtualahan is an online platform that provides digital skills training as well as employment for people with various disabilities. Their name is a combination of the words ‘virtual’ and ‘eskwelahan’, highlighting their enterprise as one that runs through the digital world. Virtualahan runs a six-week training program for PWDs where they are taught various skills in digital marketing, administrative support, and more. They also provide three months of employment support and one-year life-coaching with a strong focus on well-being. Virtualahan promotes an environment of continuous development for PWDS where they are able to work and build their career as online professionals while creating a community that restores human dignity and fosters a culture of diversity and inclusion. Apart from skills training, they also have well-being and advocacy sessions. Their well-being sessions work like a support group session where everyone can talk about their experiences, struggles, insecurities, and the challenges they face. Through these sessions, they are able to learn and encourage each other to grow. As much as we all want to promote a culture of inclusion, the hard truth is that a lot of companies are not yet ready to employ PWDs because they may lack proper structures to cater to PWDs and might not be well-trained and prepared. To address these issues, Virtualahan created a two-day workshop for key players in the company to help them find issues that stop companies from hiring PWDs. Through the workshop, they are able to guide these key players on how to handle PWDs in the workplace - increasing the success rate for both the PWD and the company. Virtualahan aims to be a leader in creating a work environment that empowers PWDs to join the workforce in the Philippines. 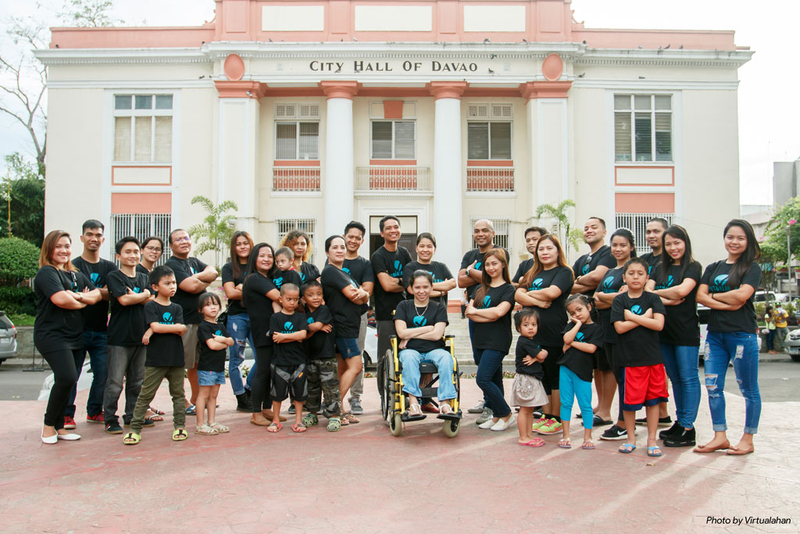 Their ambitions reach beyond people with disabilities as they aim to launch projects that include indigenous people of Sultan Kudarat and former drug dependents - fostering a truly diverse and inclusive workplace. The virtual world has enabled anyone (including PWDs) to find remote work where people are able to find different kinds of jobs while working in the comfort of their own homes. 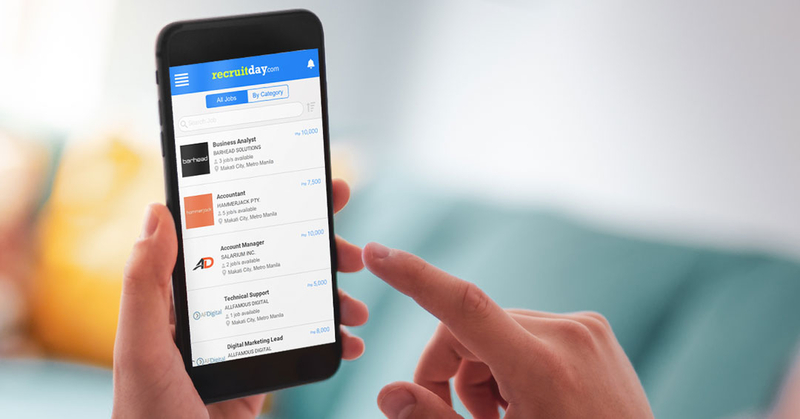 The Recruitday Scouts network is a way for anyone to help companies find talent by using the Recruitday Scouts app or the online platform. Through the platform, Scouts get access to multiple job listings from different companies which they can easily share with their friends, family, or with anyone they know looking for a job. If their referral gets hired, they receive cash rewards. Recruitday has opened up the opportunity for PWDs to become Scouts through a collaboration with Virtualahan. Today, during an Inside Peek Session, PWDs under Virtualahan participated in a webinar with Recruitday’s CEO, Joel Garcia, to learn about how they can become Scouts and how they can earn an extra income during their free time through the platform. This collaboration between Recruitday and Virtualahan will be the first of many to help empower people with disabilities in the workplace and encourage a culture of diversity and inclusion. "The dream is to invent and make sure that as we progress as a species, as we evolve as a society, that no one is left behind."